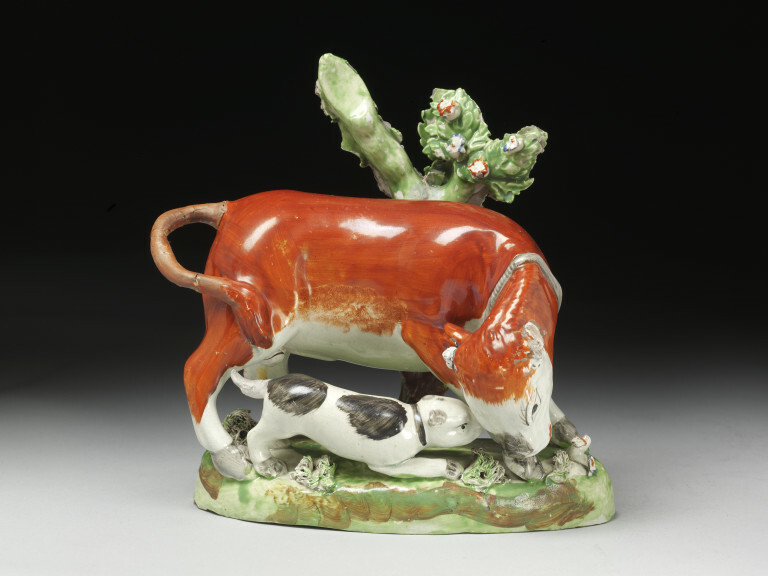 Figure of a dog baiting a bull, earthenware. 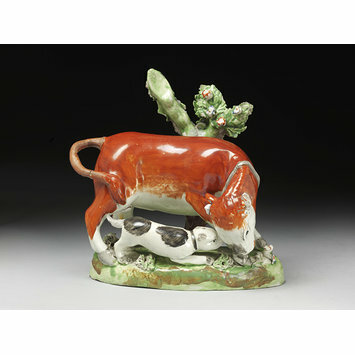 The bull is coloured red with white face and legs. The dog is white, with two black patches. Beside the bull is a flowering tree. The figures are on an oval green base with applied flowers and grass.